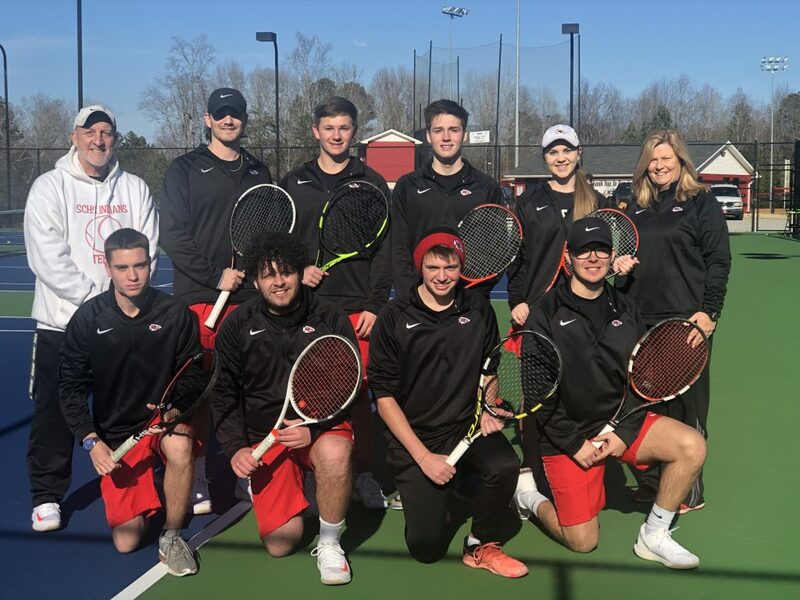 The Stephens County High School tennis teams swept Lumpkin County Tuesday night in Dahlonega. The Lady Indians won 3-2 by taking #2 and #3 singles and #2 doubles matches. The Indian boys won by a match score of 4-1 by taking #1 and #3 singles and both doubles contests. Stephens County’s next match is this Friday at they play at St. Pius. There are 8 seniors on the Indians and Lady Indians teams this year. It is the largest group of seniors the program has ever had. Seven of the eight players are 4 year lettermen.